These tasty peas make juicy pods when grown to maturity and is one of our favorite varieties for growing as a MicroGreen (some people also call these Pea Shoots). When grown as a MicroGreen/Shoot these peas will germinate in about 5 days. We think they taste best as a Micro/shoot around 10 days. When growing to their full size this variety reaches maturity in about 61 days. Pods are 4 inches long with square ends. 7 to 9 dark-green peas on 30 to 46 inch vines. 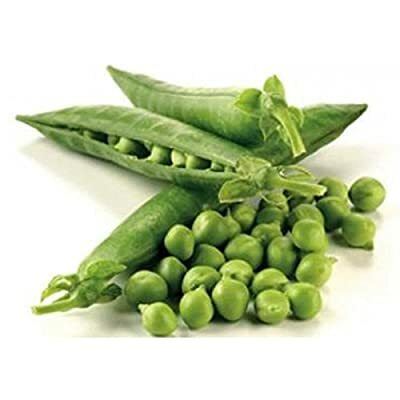 These peas are frost hardy and prefer to be planted in cool weather, as they become bitter with heat. Support is beneficial. Resistant to Fusarium Wilt. Good for freezing. Approx. 90 seeds/oz.